Build highly scalable and secure Big Data applications fast. No hardware to procure, no infrastructure to maintain. What Can You Do with Big Data on AWS? 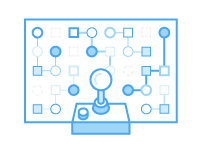 With AWS you can build an entire analytics application to power your business. Scale a Hadoop cluster from zero to thousands of servers within just a few minutes, and then turn it off again when you’re done. This means you can process big data workloads in less time and at a lower cost. Improve your customer's digital experience and get a better understanding of your website. 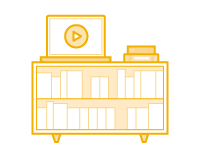 Collect, process, analyze, and visualize clickstream insights in real-time with AWS. Use AWS Lambda to perform data transformations - filter, sort, join, aggregate, and more - on new data, and load the transformed datasets into Amazon Redshift for interactive query and analysis. Use Amazon Machine Learning to easily add predictive capabilities to your applications. Combine the power of Amazon Kinesis to ingest data from social media or other sources in real time and use Machine Learning to generate predictions on that data. 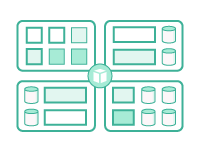 Optimize query performance and reduce costs by deploying your data warehousing architecture in the AWS cloud. Amazon EMR allows you to leverage the power of the Apache Hadoop framework to perform data transformations (ETL) and load the processed data into Amazon Redshift for analytic and business intelligence applications. Nasdaq achieved faster, richer analytics and data warehousing capabilities while reducing costs by 57% by shifting to Amazon Redshift and using Amazon EMR for ETL.